I have a subscription until March 2019, and they have started to charge me for downloading magazines, since November. Apple will not refund my money, the say it is up to the app developer, and the developer doesn’t answer my requests. I love this magazine. 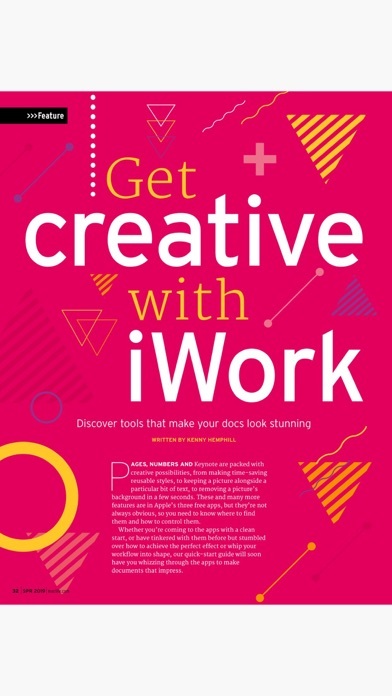 It offers timely practical content which enables me to maximize my use of all my apple products. Had this app on the iPad and it was literally a work of art. Was forced to use the iPhone version after the iPad died, and it doesn’t even feel like it could be from the same company. Not only is the experience subpar from the iPad app, but it’s not even formatted for the iPhone X after a year of being out! User interface is very poor; didn’t receive current issue, and couldn’t access it. Cancelled subscription. 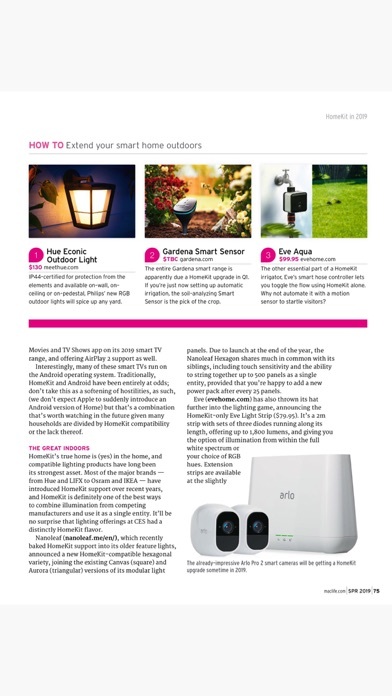 I find the articles in MacLife to be very informative, concise, and well written. 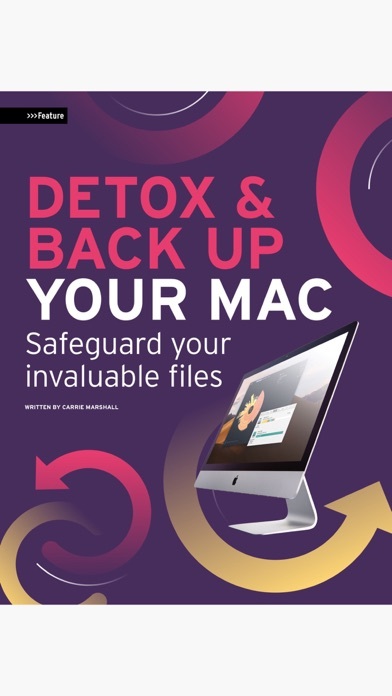 When I was moving from the PC world to Apple MacLife was, and still is, a great resource for information. I love the iPad version. This app is well worth the price. Please add iPhone X support. It’s fine if it still has bars when not zoomed but it needs this update. It’s been long enough. There’s no excuse as to why it’s not out yet. 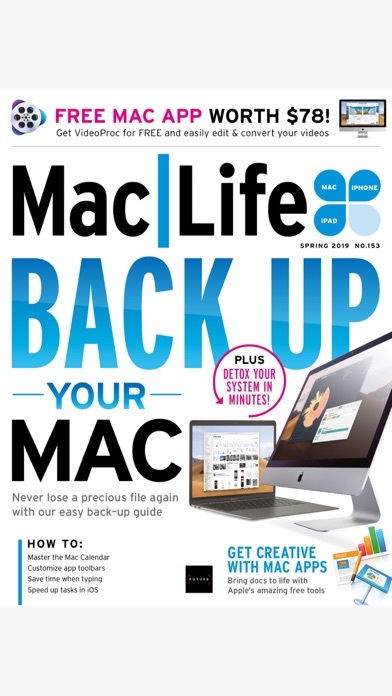 I have been a lifelong subscriber of MacLife and love the magazine. However, I purchased an issue a bit back and have subsequently upgraded my phone to the new X! All of my issues have loaded back onto my account except the one (mentioned before) that I really need right now. I have emailed the “support” folks, several times, hoping that they could help and haven’t gotten any answers back. I’d say get the app, just hopefully don’t lose any of your purchases as their support staff are nonexistent. Hopefully they don’t cease production as good luck finding anyone who cares! 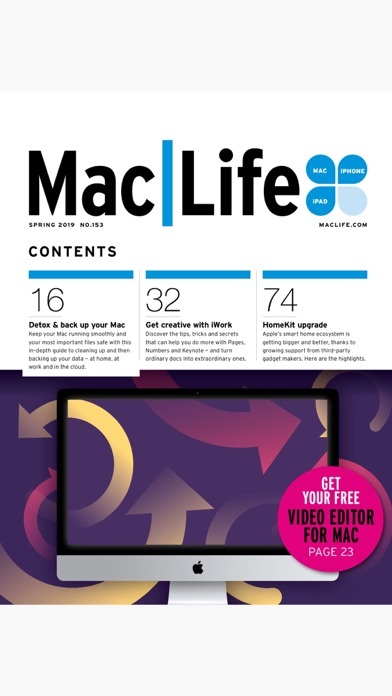 MacLife was the one magazine I would still buy in print form in the grocery store, as I really like the content and look. But, for less than the cost of two print issues (which is still true, I think), I can get an entire year. And, with the Retina display on the large iPad Pro, it seems to actually look BETTER than the print version. And, of course, there’s also all the capabilities that come with an “active” publication (like links and such). Plus: I have ABSOLUTELY NO CLUE as to where all these other reviewers are getting these problems! They must be using a different app or something! ;) Seriously, though, I’ve actually NEVER had a problem with the app itself, or with the purchasing of issues! Plus, I’ve just turned 60 years old, with my brain and memory getting worse and worse, and I’ve been able to read issue after issue with (LITERALLY) ZERO problems. So, this app is ABSOLUTELY AND VERY HIGHLY RECOMMENDED! 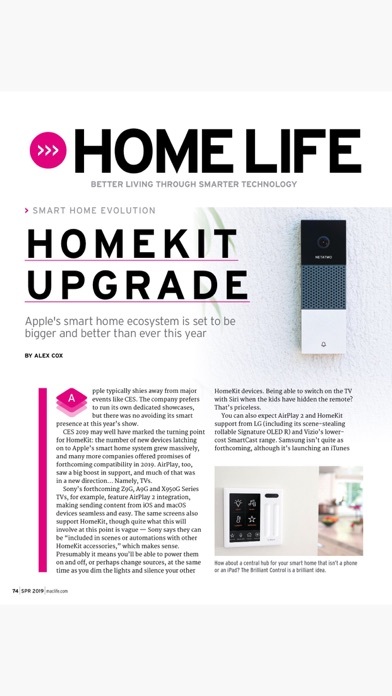 MacLife is one of my first magazine (apps?) experiences within Newsstand. It's working well generally. I response time is good. 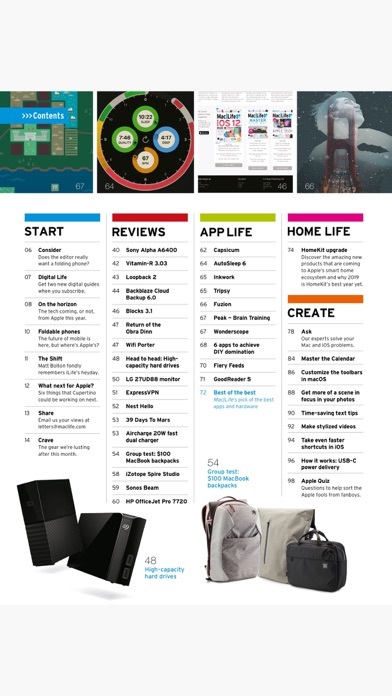 New issue load time is long - not something to do just before leaving the house or a Starbucks. 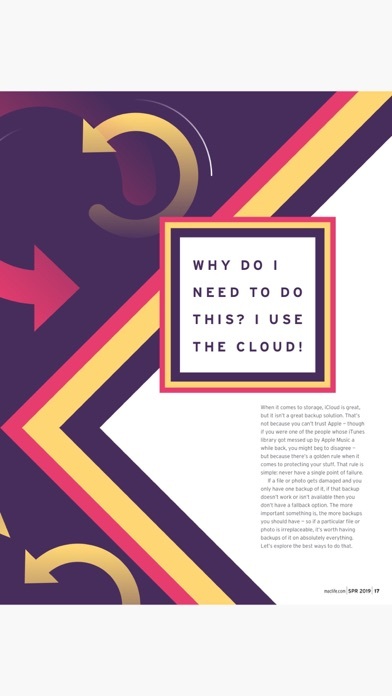 In-magazine navigation is intuitive for the most part, with helpful cues (and the initial help screen is handy), but sometimes there is a sense of too many different ways to reveal another page or section. Maybe I need to get some practice! In the end I can read the content, share it and that's most important. 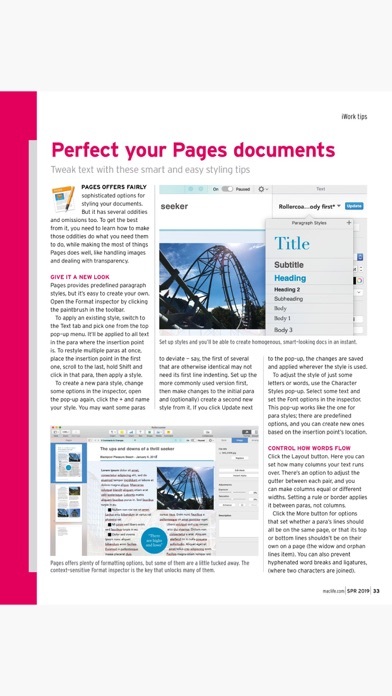 I will add that going back after a break to an open mag can be frustrating with having to start in the library screen and wait a long time for the mag to open- fortunately on the page you were in. Make the app smarter and snappier! Contents is good, but the app need more work.